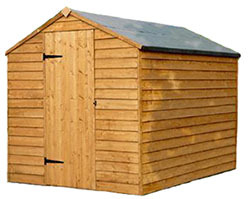 The prospect of building a new shed can be a daunting one, but that's were we come in. Our easy to follow guides and videos will take you through every aspect of the process. From installing one of our wooden shed bases to water proofing your shed roof. If you have any questions about the installation of our sheds or other garden buildings then why not look through our videos and downloadable technical guides, you may just find the answer to your question.